Regulation of glucose at the biochemical level affects every area of the brain, and has impact from cellular to behavioral brain function. It plays an important role in diseases such as diabetes, stroke, schizophrenia and drug abuse as well as in normal and dysfunctional memory and cognition. 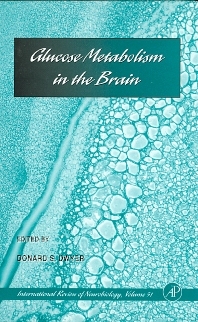 This volume represents a thorough examination of all the major issues that are relevant to glucose metabolism by brain cells in relation to disease, combining basic research and clinical findings in a single, indispensable reference.